Today is school exclusion day in Oregon. The public school district will be banning children from attending their classes if they are not fully vaccinated. The word they are looking for here is “segregation.” But Oregonians are calling it “School Exclusion Day.” As noted by the state’s Health Authority, “parents must provide schools, child care facilities with kids’ vaccine records”. If their “records on file show missing immunizations,” their “children will not be able to attend school or child care” from this date forth. According to Newsweek, today’s the day that you won’t be given an education if you’re a child in Oregon and you don’t have a suite of vaccinations (including MMR, Polio, Hepatitis B, and more.) Similar enforcement initiatives are in operation in other states, from Texas to Illinois. Authorities explained that, in 2017, nearly 30,000 letters were sent to parents and guardians letting them know their children’s inoculations weren’t up to date. Ultimately, 4,646 children were kept out of educational facilities until things changed – and the state is hoping this year will feature a decrease in said numbers. Of course, there’s a problem. 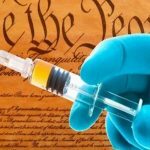 Vaccines aren’t mandatory in Oregon, so why are they punishing unvaccinated children? Propaganda. The vaccine industry with the help of Big Pharma, prop up governments who like to force shot on kids. According to Oregonian state law, all children in any form of education, both public and private, preschools, and certified care facilities, must have up-to-date records or have an “exemption.” Generally speaking, these exemptions are medically based, but most begin tossing around the theory of “herd immunity” and blaming the unvaccinated for the spread of diseases. Dr. Russell Blaylock MD, a retired neurosurgeon, says that if one takes a moment to consider the history of vaccination, the concept of herd immunity as it applies to vaccines unravels quickly. Of course, the real evidence won’t be blasted all over the media, and the introduction of booster shots lined the pockets of the vaccine manufacturers and doctors. Not to mention the emerging data on this year’s flu vaccine, which basically says it’s spreading the flu. IFL Science notes that in some cases, nonmedical exemptions are also allowed for “personal, religious, or philosophical reasons.” Although in Oregon, these aren’t obtainable immediately upon request, they are given out. According to a 2014 review on such matters, nonmedical exemptions are showing a rate increase across the nation. That’s is a good sign. It means people are reading on their own and deciding for themselves what is best rather than allowing a fear-mongering media to alter their opinion. “Most exemptors questioned vaccine safety, although some exempted out of convenience,” the study noted. At the end of the day, parents should have the freedom to choose what to is injected into their children. Personally, I’m not going to set my kid on fire to keep yours warm. Take care of yourself and your children and stop pushing useless narratives that most can see through. Oregon is quickly spiraling into an authoritarian mess, and it doesn’t look there’s any way of stopping it.